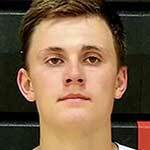 Connor Harding is a 2016 BYU basketball commit., announcing his commitment July 29, 2015 via twitter. He plans to serve an LDS mission and then join the team in 2018. He currently preps at Highland High School (Pocatello, ID) where he was a 5A all-state second team performer as a sophomore. As a Junior he averaged 16.6 ppg, 8.5 rpg, and 3.7 apg, leading his team to the district title (5A state runner-up) and being named to the 5A all-state first team. 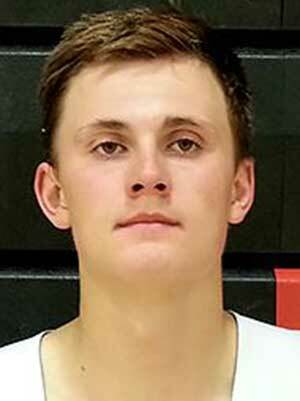 He was also named to USA Today’s ALL-USA Idaho boys basketball first team. In the off-season he plays quarterback and wide receiver for the football team. Harding plays AAU ball with the Utah Prospects, who field a talented group that includes current BYU commit Gavin Baxter as well as fellow BYU recruits Frank Jackson and Yoeli Childs. All four of them are listed in ESPN’s top 100 recruits nationally. Harding is a 3-star prospect by Rivals and Scout. ESPN has rated him 4-stars with a grade of 80, and list him as the top basketball player in Idaho and #99 in the ESPN Top 100. He currently holds offers from Arizona State, BYU, Idaho, ISU, and Stanford. 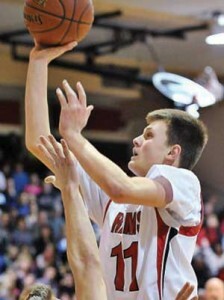 He has received recruiting interest from Boise State, Montana, Oregon, Oregon State, UCLA, Utah, and Utah State. Position: Shooting Guard HT/WT: 6’6”, 185 lbs.